the People Act in 1918 which first gave the vote to women. First in method for 3 and 4. All rung by an Eastern District Ladies Guild band for 100 years of women getting the vote. Celebrating 100 years of Women's Votes. Compliment to Mary Bartholomew who is stepping down as Secretary of the Marches District. Rung on the front 6. Celebrating the centenary year of some women in the UK first getting the vote. Rung on the 1, 3, 4, 5, and 6. Rung on the back 5. 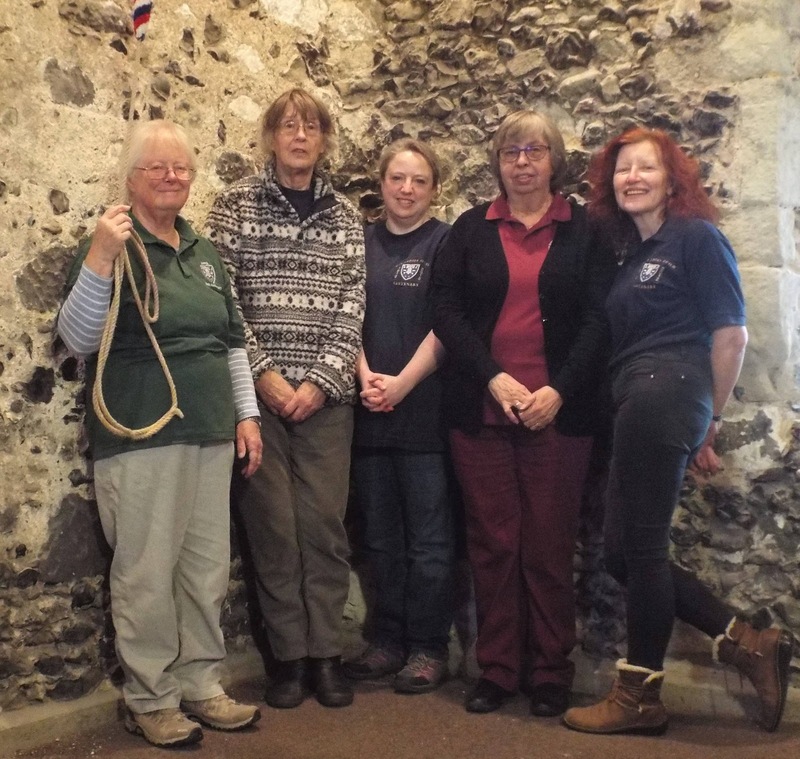 Both rung by members of the South Eastern district and Janet Garnett from the Eastern district of the Ladies Guild. For the centenary year of some women in the UK first getting the vote. and in thanksgiving for all those who dealt with the aftermath. St Martin's; 300 changes Grandsire. 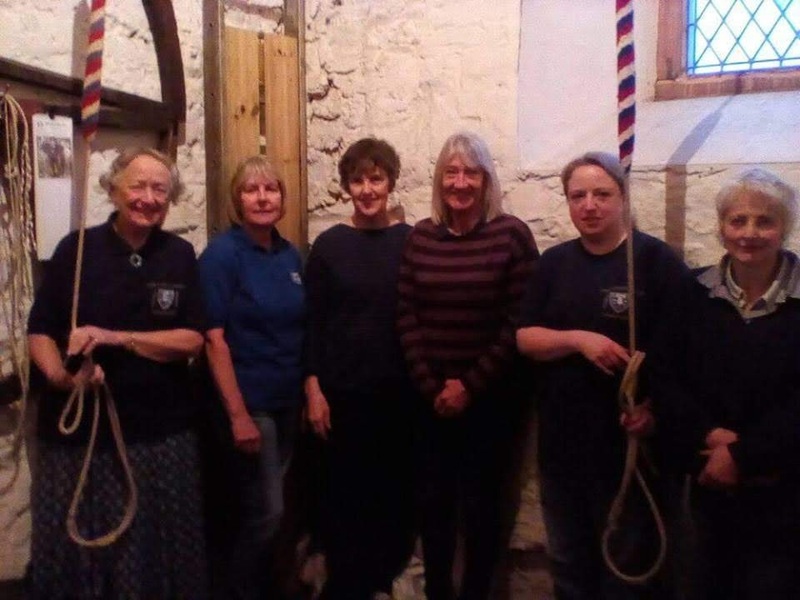 Rung by members of the Ladies Guild, Eastern District, to celebrate 100 years of some women getting the vote. Marking 80 years since the first Kinder transport train moved children out of Europe to Britain to avoid the dangers of the German uprising. Also, to commemorate the 100 year anniversary of the first women receiving the vote. 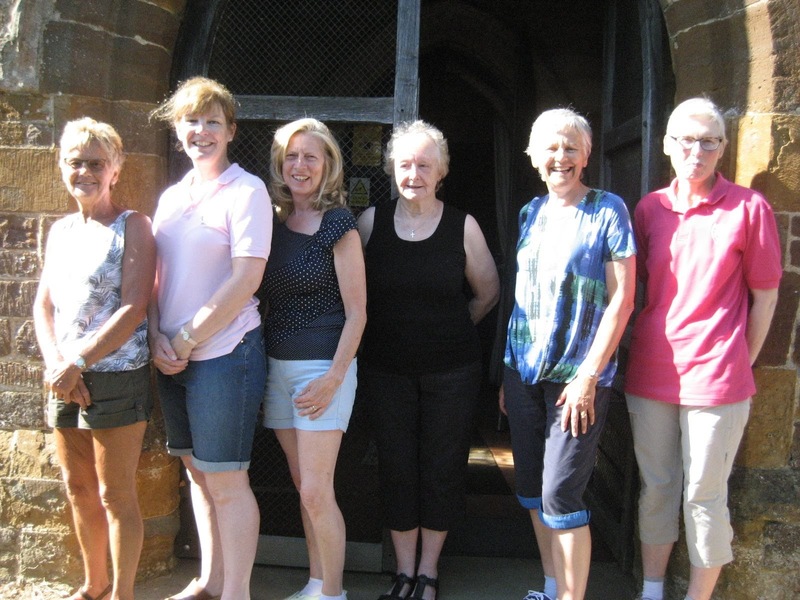 Both rung by members of the Ladies Guild, Eastern District, to celebrate 100 years of some women getting the vote. Wedding compliment to Ben and Sarah Childs. 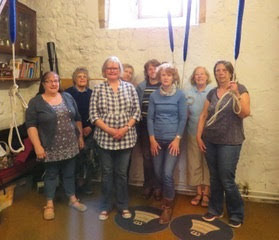 Rung by members of the Ladies Guild, Eastern District. Jointly conducted by 2, 3, 4 & 5. For The Lord Mayor’s Show. Photo shows the band in ringing order, left to right. All quarters rung for 100 years of women getting the vote. Rung half muffled for All Souls Day..
Rung by members of the Ladies Guild and friend, half-muffled for Remembrance. Rung as a birthday compliment to Alwyn. First in method: 3, 4 & 5. Patronal Festival and for the EACR Northern District quarter peal month. 1st in m: 2 & 3.
also for 100 years of Women getting the vote and for the WRAF memorial fund. who was a former Tower Captain and Church Warden at Palgrave, Suffolk. Also for 100 years of women getting the vote. First St Osmund in a quarter peal for 2; first Eynesbury bob work for 3. 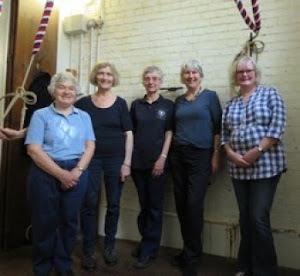 Both rung by members of the Ladies Guild, Eastern District. who rang at Boxford and Edwardstone. also for 100 years of women getting the vote. First in method for 3. Rung by an Eastern District Ladies Guild band for 100 years of women getting the vote. Rung by members of the Ladies Guild, Southern District following a training morning. with grateful thanks to David Webb for stepping in at the last minute. Rung for 100 years of women getting the vote. to Mary Mercuri from Adelaide, Australia, also for 100 years of Women Getting the Vote. First blows in Eynesbury and most methods for 3.
and for 100 years of women getting the vote. First in method for 1 and 3. Golden Wedding Anniversary and for 100 years of women getting the vote. First in method for 3, 4 and 5. For the 100 years of the first ladies getting the vote and also for the start of the Stoke Prior community week. Commemorating the passing of the Representation of the People Act in 1918, and the 70th anniversary of the NHS. Probably the first ladies band quarter rung in this tower. Most methods/variations for 1 and 2. First in method for 3. Rung by an Eastern District Ladies' Guild band for 70th anniversary of the NHS. Margaret Skinner would like to be associated with this quarter. First quarter for the Ladies Guild for 3. Rung on the 90th anniversary of the passing of the Equal Franchise Act, giving women equal voting rights to men. 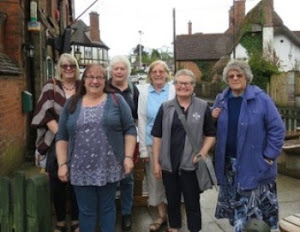 By members of the South Midlands District of the Ladies Guild. Remembering Mary Knight, who lies buried in the churchyard here. She was the mother of John Williamson who passed away earlier this year, husband of Judith, 4. Rung by members of the Ladies Guild, Southern District. Rung by an Eastern District Ladies' Guild band for Suffolk day. 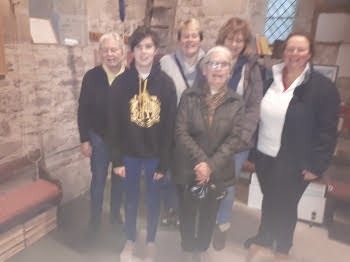 First quarter for the Ladies' Guild for 2 and 3.
complete level 3 of the ART Learning the Ropes Scheme. Birthday compliment to Dominic Rumball, son of 4, and to Ely District ringers Dee Smith and Will Scheilling. Remembering Helen Tomlinson, mother of the conductor, whose birthday was also 2nd May. First in method 2 and 3 and as Conductor. To celebrate the birth of the new Prince to Duke and Duchess of Cambridge. Rung in loving memory of Valerie Keel. Val, as she was affectionatly known, lost her battle with a long illness on April 3rd. 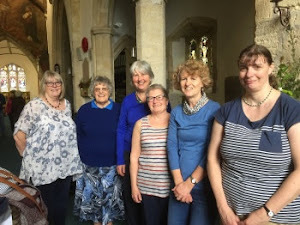 She had been a member of the Ladies Guild for many years and had also served terms as both District Secretary and latterly District Treasurer. First inside to Triples, 2. 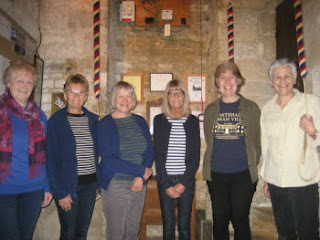 Rung on Anzac Day by members of the Ladies Guild, Southern District on their Quarter Peal Day. Rung in loving memory of Valerie Keel. Val, as she was affectionatly known, lost her battle with a long illness on April 3rd. She had been a member of the Ladies Guild for many years and had also served terms as both District Secretary and latterly District Treasurer. on 1st April 2018, the Centenary of the Royal Air Force. to Hilda Collins, a Ladies Guild member and long-term ringer at this church. in the centenary year of women's suffrage. A retirement compliment to Dr Andy Hall, Fovant GP who hangs up his stethoscope at Easter. who died on 15th February 2018. Margaret Harvey and Pauline Millatt wish to be associated with this quarter peal. First quarter after long illness (2) First as cover (6). District ADM held here earlier today. First in more than one method, 2. Representation of the People Act on 6th February 1918 by which women in the United Kingdom first got the right to vote. 1st in m. 2, 3 & 4. Rung on the centenary of the passing of the Representation of the People Act, giving some women in this country the right to vote for the first time. 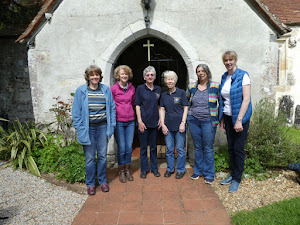 By members of the South Midlands District of the Ladies Guild. Photo shows the band in ringing order from left to right. who passed away on 17 January, husband of our Vice-President Judith. Teresa Brown wishes to be associated with this quarter peal. 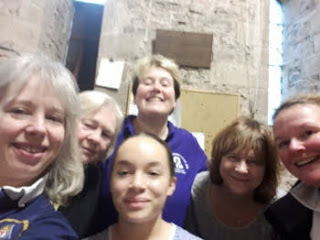 The first on the bells by a ladies band. women in the United Kingdom first got the right to vote. 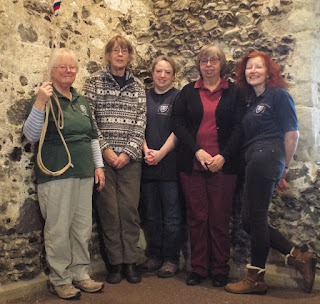 More details of the day, and a group photo of all the ringers, here. and also to congratulate Charmane May, Ladies Guild member, on her engagement. First quarter for the Ladies Guild: 1. 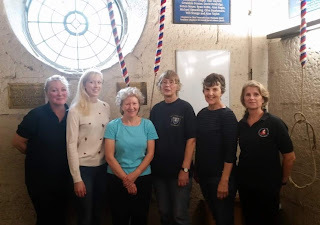 Rung by members of the Ladies Guild and friend, after one of the Ladies Guild Eastern District Christmas lunches! 1260 Doubles (4 m: 180 Grandsire, 360 St Martin's, 360 St Simon's, 360 Plain Bob). Rung to celebrate the 90th birthday, yesterday, of Ken Cocksedge, father of the conductor. 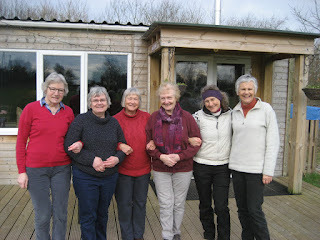 Rung by members of the Ladies Guild,who were not put off by the 70 mph winds! First quarter of surprise and first quarter for the Ladies' Guild for the ringer of the 4th bell. Birthday compliments to the treble ringer. First quarter away from a working bell for tenor ringer. 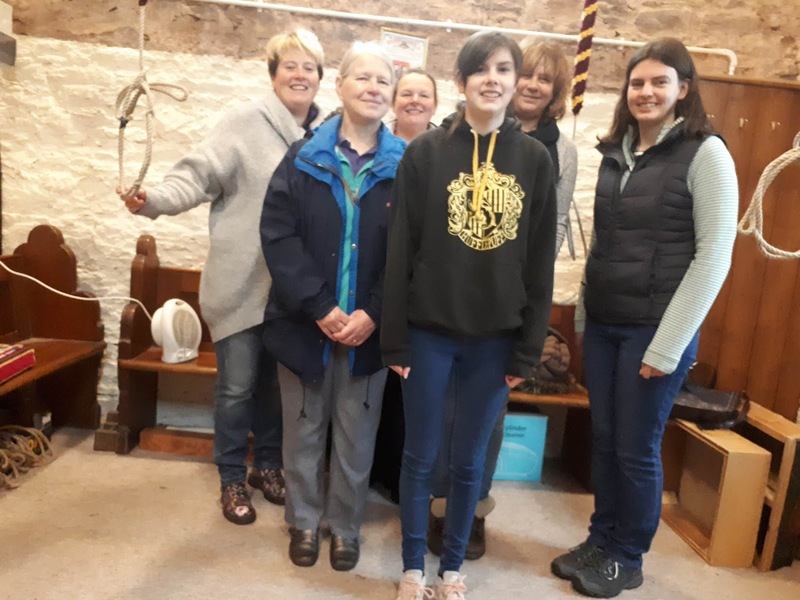 Rung by a Ladies' Guild Eastern District band to celebrate the 88th birthday of Fr. Ralph Marcini, a much loved priest at Dumfries, Galloway.